At Bondi Dental, one of our specialties is crafting beautiful smiles with our world-class cosmetic dental procedures. We offer a wide range of dental procedures that aim to enhance the aesthetics of your teeth and overall quality of your smile. One of these treatments is dental veneers – ceramic or composite resin based thin shells affixed onto the patient’s front teeth. The procedure is simple and requires from little to no anaesthesia to perform, by your dentist. At Bondi, we offer composite veneers. This type of veneer is made of composite resin that’s shaped directly on your teeth. Like other types of veneers, composite veneers can address multiple dental aesthetic issues at the same time they improve aesthetics. Laminated composite veneers can be repaired and are cost-effective. If you have broken, chipped or severely worn down your teeth, you are possibly an ideal candidate for veneers. Because of the amazing properties of the materials used in modern dental veneers, the ultra thin shells can be constructed in a way that they completely mask the discolouration of your teeth. Some people have irregular gaps between teeth, making their smiles seem unsightly. Dental veneers can fix this problem by filling those gaps to make the teeth look absolutely naturally spaced. Crooked, irregularly shaped or improperly positioned teeth can be masked with the help of dental veneers. After the treatment, your teeth look perfectly shaped, even, and aligned with the rest of your teeth. 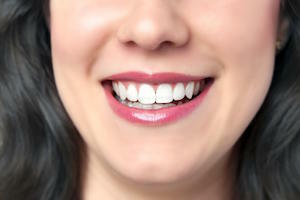 Dental veneers can serve as a better option for some patients who are considering dental crowns. Unlike other dental procedures, veneers are relatively cheap and painless to install, which makes them an ideal choice for dealing with several dental issues. Laminated composite veneers only require one appointment, which lasts for only 3 to 4 hours in the dental chair. In just a single day, you can see the amazing results and the transformation it creates on your teeth. Because of this, laminated composite veneers can save you a lot of time. Over time, your veneers can develop damage due to your lifestyle and habits. Thankfully, you don’t need to replace your laminated composite veneers as your dentist can repair them as they are damaged. If your veneers get broken or chipped off, they can be easily repaired, and this is one of their unique advantages. Laminated composite veneers are not only a versatile solution to a number of dental flaws, the procedure is also non-invasive and the price of the treatment is cost-efficient. With laminated composite veneers, you can enjoy the many benefits– including a relatively simple procedure, low cost and high quality. For high-quality Laminated Composite Veneers in Bondi, come and visit us at Bondi Dental. Our cosmetic dentist specializes in correcting your smile using this procedure. In a matter of 3-4 hours, you will have a whole new bright smile, right there and then. Bondi Dental has been providing high-quality dental care services to the Bondi community and all surrounding areas for over 30 years now. Call us on (02) 9365 7187 or book your appointment online and claim your FREE Consultation on Smile Makeover and Cosmetic Dentistry today!